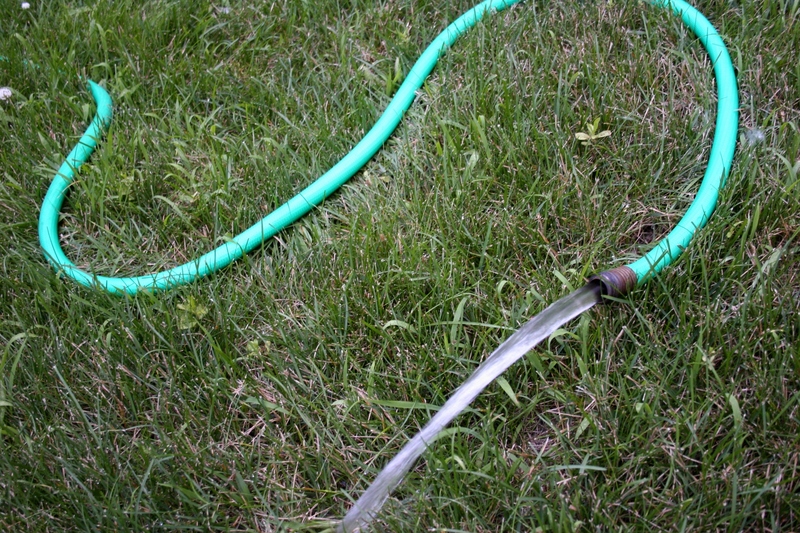 A hose was for more than watering the garden or cattle when I was growing up on the farm. Read on. WITH THE CURRENT HEAT WAVE we’re experiencing in Minnesota, I’ve been thinking a lot about the weather of yesteryear. And here’s what I’ve concluded. Unless the weather impacted some major event in my life or ranked as exceptional, I really can’t specifically remember one summer to the next or one winter to the next. Fall and spring sort of get lost in the mix of seasons. That is the reality of my long-term memory. For me, the summers of my youth on a southwestern Minnesota crop and dairy farm were defined, not by the weather, but by playing “cowboys and Indians” (yes, I realize that is not politically correct today, but it was the reality of the 1960s), by after-chores softball games on the gravel farmyard and by evening showers with a garden hose. Let me explain that last one. I lived for the first dozen years of my life in a cramped 1 ½-story wood-frame farmhouse with my farmer-father, my housewife-mother and four siblings. The third brother was born later, after we moved into the new house. The old house didn’t have a bathroom. That meant we took a bath once a week, on Saturday night, in an oblong tin bath tub that my dad lugged into the kitchen. Yes, we shared bath water. And now that I consider it, given we labored in the barn daily, we must have really stunk by Saturday night. Sometimes in the summer, when the weather was especially hot and humid, we showered. After my dad finished milking cows, he would thread the green garden hose through an open porch window outside to the east side of the house. Then, with one of us “standing guard” where the driveway forked, within a stone’s throw of the tar road, we began the process of showering. One-by-one we took our turn standing naked on the grass, soap bar in one hand, garden hose in the other, scrubbing away the sweat and animal stench, the bits of ground feed and hay and silage, the dirt that clung between our toes. And all the while we showered, we worried that a relative or a neighbor might turn into the farmyard or an airplane might fly overhead, as if a pilot could see us from high in the prairie sky. So during a hot stretch like we’re experiencing right now in Minnesota, I remember those primitive summer showers on the farm. I recall, too, the single turquoise box fan we owned—the one reserved for my hardworking farmer-father who endured heat and flies as he bent to wash another udder, to attach another milking machine, all to earn money to feed his growing family. And I think, as I sit here at my computer in my air-conditioned office just around the corner from the bathroom with the combination bathtub and shower that I have it good, darned good. 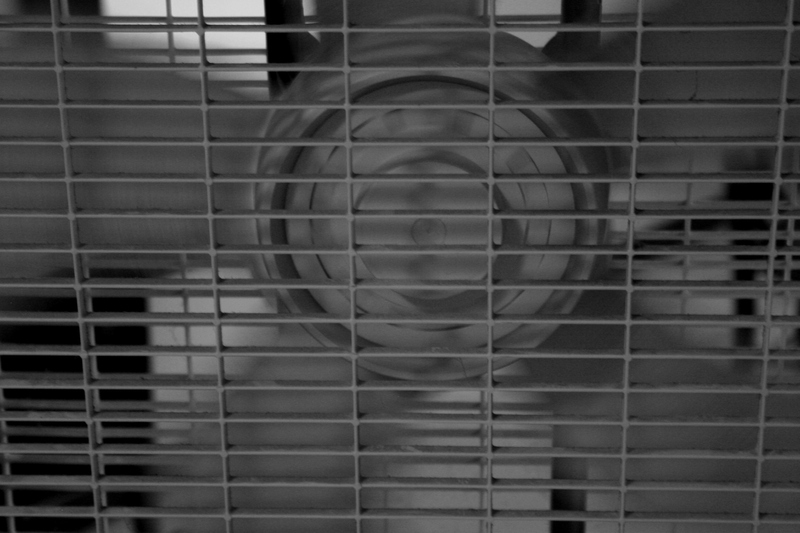 Growing up on the farm, we had one box fan similar to this one. DO YOU HAVE summer memories like mine, or another weather-related story? Submit a comment and share.